Mr. Ahmad is a seasoned executive with over 35 years of distinguished experience spanning the public sector and the financial services industry. He served as the Pioneer Director General and Chief Executive Officer of the National Pension Commission and oversaw the growth of the pension industry in Nigeria from ground zero to a N4.7 trillion asset under management industry. He was also a pioneer staff member of the Nigeria Deposit Insurance Company (NDIC) where he rose to become a Director. Mr. Ahmad had served on the board of various companies and committees including banks and not for profit organisations. 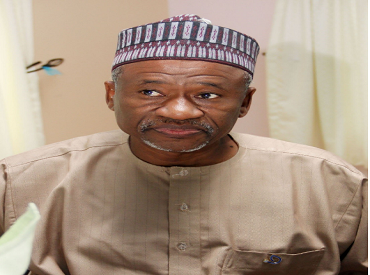 Mr. Muhammad Kabiru Ahmad, also known as MK, OON, has been a Non-Executive Director at FBN Holdings Plc. since July 28, 2015. Recently appointed the Chairman of Skye Bank Plc, He is the current Interim Board Chairman of International Energy Insurance Plc. Peter Irene is a seasoned Accountant and an Administrator who started his career with Guthrie Nigeria Limited as a Senior Cost Accounts Officer in 1975 from where he joined Phoenix of Nigeria Assurance Plc in 1978 to become their Chief Accountant. He was a member of the Management team in Phoenix where he performed various Accounting functions including investments on behalf of the Company. He later joined Union Assurance Company Limited in 1998 from Phoenix where he worked and rose to the position of Director of Finance & Administration of the Company, a position he retired from in 2013. In May 2015, he was appointed the Interim Managing Director/Chief Executive Officer along with other members of the Interim Management Board of International Energy Insurance Plc by the National Insurance Commission (NAICOM). His areas of expertise span Audit, Statutory Reporting, Taxation, Financial Management Accounting, Budgeting and Administration capped with his in-depth knowledge of International Financial Reporting Standards (IFRS). 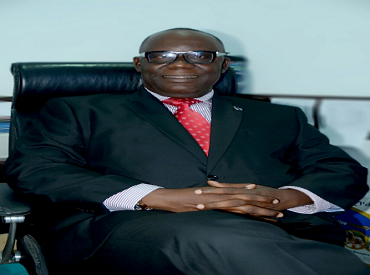 He is currently the Interim Managing Director/Chief Executive Officer of International Energy Insurance Plc. Ms. Daisy Ekineh serves as the Chief Operating Officer of Global Mandate Consulting Limited. She has over 30 years of capital market experience. 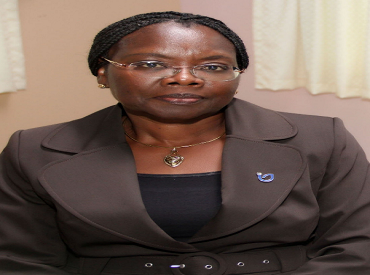 She served as Acting Director-General of the Securities and Exchange Commission (SEC) from May 2009 to January 2010. She served as Executive Commissioner (Operations) and Director of Securities and Investment Services, where she was responsible for the regulation of all public offers of securities, mergers & acquisitions amongst others. She has been an Independent Non-Executive Director of FMDQ OTC PLC since October 30, 2015. As a capital market doyen, she served as Chairman of the Information Sharing Sub-Committee of the Financial Services Regulation Coordinating Committee (FSRCC). She contributed significantly in designing the Capital Market and Regulation Strategy of the Financial Sector Strategy (FSS) 2020. She served as Chair of the African & Middle East Regional Committee of the International Organisation of Securities Commissions (IOSCO). 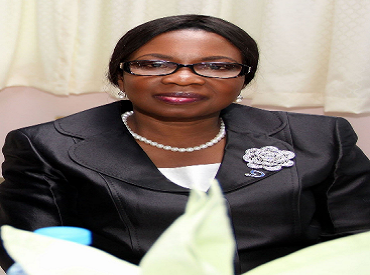 Ms. Ekineh is currently a Non-Executive Director on the Board of International Energy Insurance Plc. Ibiyemi Adeyinka's distinguished career and experience cuts across 30yrs as a Lawyer, an accredited Alternative Dispute Resolution (ADR) Mediator and consummate Banker of 22yrs with proven track record in top management positions anchoring change initiatives and breaking new frontiers in the Financial Services Industry. Yemi was the Managing Director of Societe Bancaire Nigeria Limited (SBNL Merchant Bankers) for 1&1/2yrs and successfully led the bank into a merger and consolidation with other banks to form Unity Bank Plc. While at Unity Bank for about 8years, she served as a Director on the Board of some of the Bank’s subsidiaries and investment interests such as: Pelican Prints Limited, Unity Bureau de Change and Shonga Farms Limited in Ilorin. She also held top management positions including Acting Managing Director. She is the Principal Counsel in Eaglecrest Legal Consult; engaged in practice as Legal Practitioners and Financial Services Consultants. CEO of Trinity Inspire Concepts Limited focused on Entrepreneurial Developmental Projects. In addition, a Shareholder and Director of Victoria & Albert Court Limited; an Abuja-based indigenous private-owned initiative, engaged in Realties. She is also in strategic alliance with a Lagos-based Human Resources Consultancy & Recruitment firm. A member of the Panel of Neutrals at the Lagos Multi-Door Court House (LMDC), High Court of Lagos State. Yemi is an alumni of the prestigious International Institute of Management Development (IMD) Lausanne, Switzerland. She also holds an MBA from London School of Business and Finance. She is a certified and accredited/ADR Mediator of the LMDC, having obtained this status from the Centre for Effective Dispute Resolution (CEDR), London in 2005. She was called to the Bar in 1987.